This is the free Facebook ad template I created from a lot of man hours and money of live research. When I say live, I was actually running ads and figuring out what worked and what didn’t. I extracted all the correlations and created this template for you to follow along with. 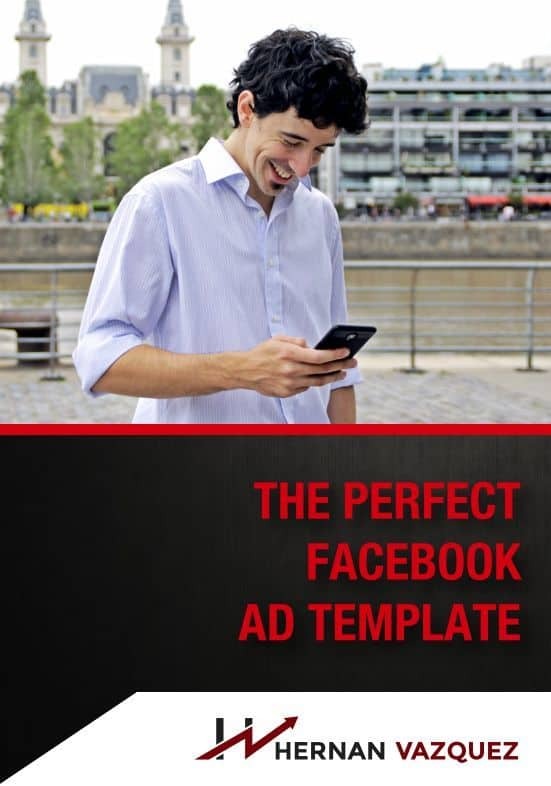 Be sure to download your free Facebook Ad template so you can follow along on creating effective Facebook Ads. Initially, I discovered this [technique] from Nicholas Kusmich. While I learned this from him, I have since enhanced this technique with my own successful methods as stated above. Read below for some great Facebook advertising tips. Step 1: The required Facebook Page. In order to run Facebook Ads, you will need to a Facebook Page, it can be any type of page. But not a group. If you have already seen the template, you'll notice I am using my personal Facebook Page “Hernan Vazquez“. Note: If you are promoting your company, be sure to have a Facebook page created for your company before proceeding. Follow this guide for creating successful Facebook ads. This helps to create trust for your brand and your advertisement. Your Facebook Page will start to get likes, shares and comments associated with it. You will then be able to retarget these people later as a Custom Audience. This can also help bring down ad cost. Step 2: The Call Out. Calling out your market. In the first sentence of the ad I am identifying my market. This helps me target my preferred audience. You don't want people clicking on your ad if they aren't actually interested in what you are offering. This helps reduce ad spend. You can use call out such as “Would you like..” ,”Are you…” and “imagine”. Also using industry specific call outs. The main objective here is to address your target market. Again, be sure to download the the template as we move along this process. We will be using the “Feel, Felt, Found” formula here. Humans, in general, make decisions based on emotion and then justify this decision based on logic. Step 4: Listing out the benefits. So after calling out my market and building some sort of emotional rapport I am now going to be listing out the benefits of my method, product or service. You can numbered items or bullet points to be sure these are crystal clear. Call to actions are simply instructions for your audience about an action you would like them to perform. Using terms such as “Click Here” or “Register Now” tells your audience that you are offering or selling something. This is an advertisement! Tell them they need to click on the link or button below. Step 6: Applying the image, picture or video. On Facebook this is a critical element to creating the perfect Facebook Ad. Your image nomrally takes up 75-80% of the screen real estate. This is your most important asset. The images or videos that work best with Facebook Ads are “native images” or “native videos”. This means they don't look like advertisements. Think about it, Facebook is made up of people sharing images and videos of family and friends with people they know. When they see my ad, they will think that I'm just some dude sharing his stuff on Facebook. This helps to cure ad blindness, which is an increasingly common problem. Step 7: Your Ad Headline. You'll notice that you can name your button on your ad. You will have multiple choices on what to name your button. Choose the one that fits best with your ad. Don't analyze this process too hard. If you find yourself stuck, I would recommend putting your focus on the Step 6: The Image, Step 2: The Call Out and Step 7: The Headline. If you have any questions, just drop them in the comments below. 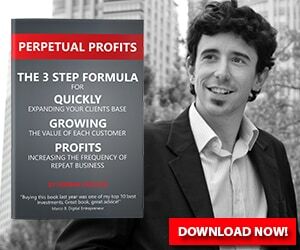 And don’t forget you can get a copy of my book “How To Get More Clients Without Spending More On Advertising” by clicking here. Join The Free Facebook Community Here! 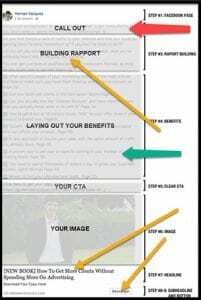 Get More Clients Without Spending More On Ads!